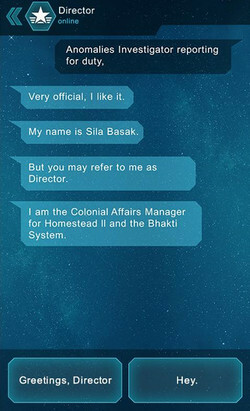 The official mobile game based on Passengers, Columbia Pictures 2016's blockbuster film, is now available for free download onto your Android. Developed by Hero Digital Entertainment, the game is a mystery-filled multithreaded narrative that tasks players with finding the truth about Starship Avalon. The Starship Avalon, CRITICALLY malfunctioned on its 120-year space voyage to the colony planet Homestead II. Now 5,258 passengers are at risk.. Answer puzzling questions and unlock the mystery behind the malfunction now! 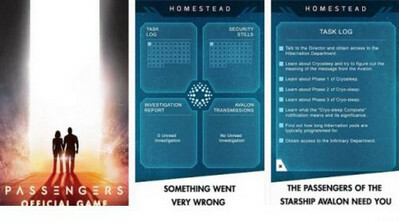 Passengers Official Game lets you follows Jim and Aurora after they wake up from cryo sleep, and take on the job of an Anomalies Investigator to discover what happened aboard the Starship. Along the way, you'll experience romance between the 2 stars, get exclusive behind-the-scenes from the movie, Decipher the ship logs and sort through exclusive security footage, and much more.